Cal Armistead‘s (Fiction, W’07) debut young adult novel Being Henry David is a winner of the 2014 Paterson Prize for Books for Young People and was named to the Bank Street College “Best Children’s Books of the Year 2014 Edition.” It was also chosen as an “all-school summer read” for Seekonk High School, Seekonk, MA! Michael Beeman (Fiction, S’09) was happy to see his craft essay “From Inspiration to Print” appear on the Sewanee Review‘s website. The story discussed, written during his first semester at Stonecoast, is available online through Project Muse. Karen Bovenmyer (Popular Fiction, S’13) is thrilled to announce the publication of three short stories: “What the Dollhouse Said” in Devilfish Review‘s June 28 issue, “The Red Red Rose” in Rose Red Review on July 1, and “What We’ve Lost, Sometimes” in Crossed Genres #19 (July). Paula Treick DeBoard (Fiction, S’10) recently signed a two-book deal for her third and fourth novels, to be published in 2015 and 2016. More here. She recently attended Book Expo America ’14 to promote The Fragile World, which is released in October. More information can be found on her website or on Facebook. Julie Day‘s (Popular Fiction, S’12) story “Faerie Medicine” is now available in the online magazine Flapperhouse. 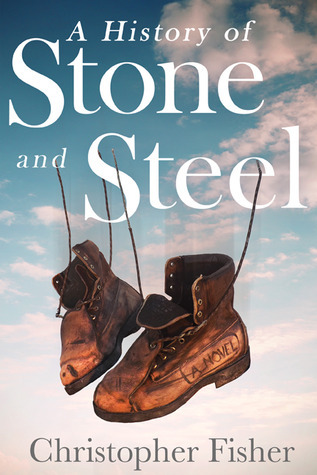 A History of Stone and Steel, the debut novel by Christopher Fisher (Fiction, W’08), was honored last month with a Gold Medal in the 2014 Independent Publisher Book Awards (IPPYs). The IPPY Gold Medal is a coveted honor among independent publishers, with this year’s competition receiving over 5,000 entries from the U.S., Canada, and eight countries overseas. Fisher’s award was for first place in the category of “Best Adult Fiction E-book.” A History of Stone and Steel also won a Gold Medal in the Foreword Reviews “IndieFab” competition in the category of Literary Fiction. The novel, which began as Chris’s creative thesis at Stonecoast, was also honored in three other competitions this spring, receiving a Silver Medal in the 2014 Benjamin Franklin Book Awards, hosted by the Independent Book Publishers Association, as well as “Finalist” status in the Eric Hoffer Book Awards (General Fiction) and the National Indie Excellence Book Awards (Literary Fiction and Book Cover Design—Fiction). John Florio (Fiction/Popular Fiction, S’07) has another novel due out August 19th. 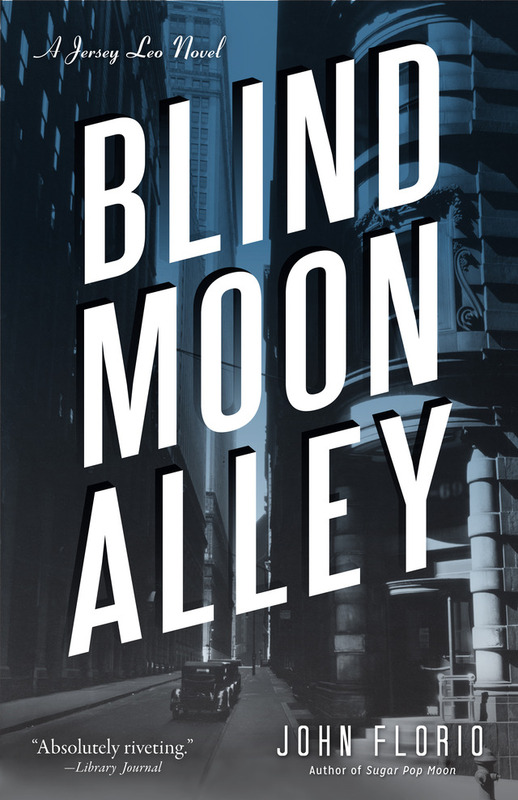 Blind Moon Alley (Prometheus/Seventh Street Books) is the second in a series of crime novels featuring Jersey Leo, an albino bartender working in an underground speakeasy during Prohibition. The book has already garnered excellent reviews, including a starred review from Publishers Weekly. Find out more at John’s website. Kristin LaTour‘s (Poetry, S’07) first full-length poetry manuscript, What Will Keep Me Alive, has been accepted for publication by Sundress Publications, forthcoming in October 2015. Sandra McDonald‘s (Popular Fiction, W’05) story “End of the World Community College” is currently on bookstands in the July/August issue of Fantasy and Science Fiction magazine. Her story about Hollywood and magic scriptwriting, “Story of Our Lives,” recently appeared in Asimov’s magazine, and her YA story “Selfie” appeared in Lightspeed. Michaela Roessner (Popular Fiction, S’08) was one of several writers invited to provide an ekphrastic piece to accompany images by photomontage artist Viktor Koen for his “Bestiary” series, inspired by classical mythical creatures and deities. The texts will accompany the prints in exhibits around the world. Roessner’s assigned entity was the spirit Mormo, a companion of the goddess Hecate. Catherine Schmitt (Creative Nonfiction, W’12), managing editor for The Catch: Writings from Downeast Maine, is pleased to announce the release of Volume II, featuring the work of Stonecoast alumna Anne Witty. Stonecoast alumna Linda Buckmaster is also on the Editorial Board for the journal. Linda K. Sienkiewicz (Fiction, S’09) has signed a contract with BuddhaPuss Ink LLC for the publication of her novel, In the Context of Love (aka The Real Story) for 2014. Details here. Bonnie Jo Stufflebeam‘s (Popular Fiction, S’13) story “They Come In Through the Walls” was translated into French for the horror anthology Ténèbres, which is available now for ordering. Her story “The Stink of Horses” is available for free reading on the Hobart webpage. 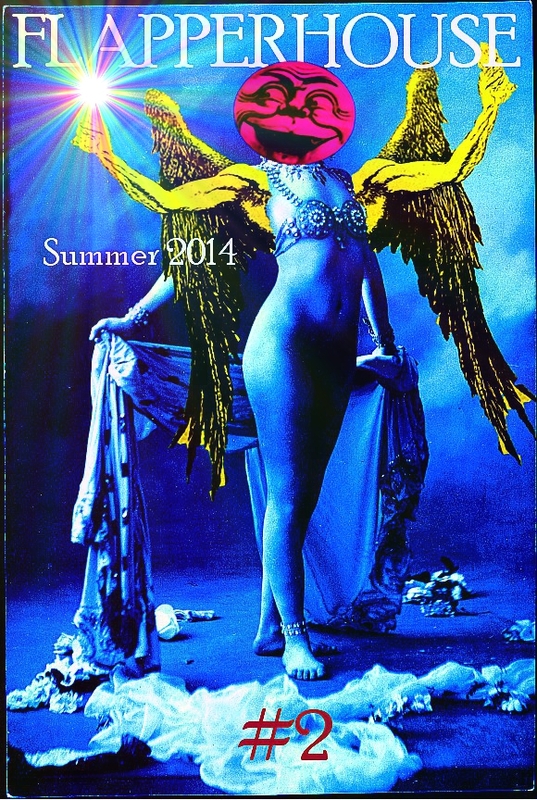 Her story “Scars” was released as a sneak preview of the Flapperhouse summer issue, also featuring fellow Stonecoaster Julie Day and out now in PDF format. Her story “Hero” appears today on Daily Science Fiction. 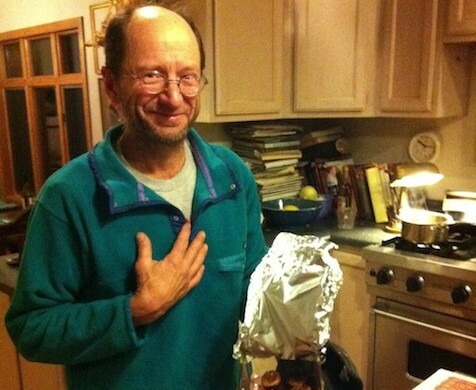 Cristina Perachio (Fiction) is heading out with mentor Rick Bass for a road trip from Missoula to Madison for his book project Eating My Heroes. Petrachio and Bass will travel to Tom McGuane’s ranch in Livingston and Lorrie Moore’s home in Madison to cook a “fine meal to say thank you” to Bass’ literary heroes. Perachio will be writing from the road about her experience on her blog, Thank You Gravy. 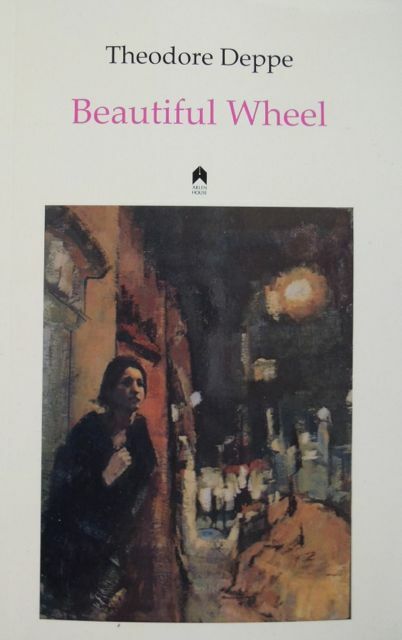 Ted Deppe‘s (Poetry, Coordinator of Stonecoast in Ireland) poem “Shouting at the Windows of the Night,” from his new book Beautiful Wheel, has been “highly commended” by the judges of this year’s Forward Prizes for Poetry and will appear this autumn in The Forward Book of Poetry 2015, a collection of the best poems from the UK and Ireland—this is the equivalent of a Pushcart Prize in the U.S. He and his wife Annie Deppe will be reading and teaching at the Strandhill Summerfest in County Sligo this July, and he will give a reading at the Clifden Arts Festival in County Galway on September 25 (where Suzanne Strempek Shea will also be reading). Next spring, Ted and Annie will be at Bay Path College in Massachusetts from 7-15 February, at Trinity Preparatory School in Winter Park, FL, on 5-6 March, and at Randolph College in Lynchburg, VA, from 16 March until 11 April, before they return home to Connemara. “Just a Juggler,” the first chapter of Boman Desai‘s (Fiction) novel The Elephant Graveyard, placed first in a contest of first chapters and will be posted here until August 1. It is his third win in a welcome hat-trick following his novel The Lesbian Man, which was a finalist for the Dana Award in April, and “The Boy from Chicago,” which placed first in a flash-fiction contest in May and will be posted here until July 1. He is happy to be leaving Stonecoast on a high, but sorry to be leaving at all. He will be glad to hear from you, and should you find yourselves in Chicago he knows a place that serves a biryani to match any in Mumbai. Just ask Mike Langworthy. Aaron Hamburger‘s (Creative Nonfiction, Fiction, Popular Fiction) short story “New Neighbor” is in the anthology Law and Disorder. Elizabeth Hand (Fiction, Popular Fiction) was visiting lecturer for the Odyssey Writing Workshop June 22-23. She’ll be Master Artist in Residence at the “your word” Teen Creative Writing Residency at the Atlantic Center for the Arts in New Smyrna Beach, FL, July 19-August 3. Forthcoming Washington Post reviews include Chris Bohjalian’s Close Your Eyes, Hold Hands and Deborah Harkness’s The Book of Life. Her award-winning noir novel Generation Loss has been optioned by the husband & wife producer/director team of Todd Luiso and Sara Koskoff for development as a TV miniseries. Alexandra Oliver (Poetry) has been awarded the Pat Lowther Memorial Award for her book Meeting the Tormentors in Safeway. The Lowther is given annual to a book of poetry by a Canadian woman and carries a $1,000 prize. Previous winners include Karen Solie and Dionne Brand. One of Alexandra’s newer poems, “Watching the Cop Show in Bed,” can be found in the July/August issue of The Walrus Magazine. 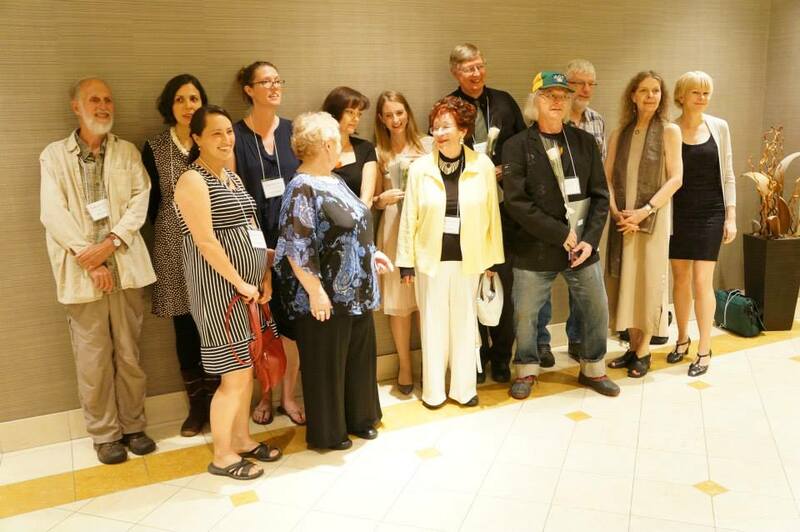 Alexandra Oliver with winners and nominees at the League of Canadian Poets Awards Gala, Toronto, June 7th, 2014. Elizabeth Searle judged the New Rivers Press 2014 Book Prize in June, selecting from the finalists a manuscript by Tracy Robert. Elizabeth has an essay, “Reality Fiction,” forthcoming in the New Rivers Press anthology Paper Camera. She also just had a personal essay accepted for a forthcoming anthology from Algonquin Books, edited by Elizabeth Benedict. Suzanne Strempek Shea will read from her new book This Is Paradise at 7:00 p.m. on July 31 at Porter Square Books in Cambridge, MA. She also will be leading a fiction workshop at Iota: The Conference of Short Prose August 14-17 on Campobello Island. Other faculty members include Barabara Hurd (essay) and Charles Coe (poetry). For full information and to register, please visit the website.